Millions of users go to Twitter every day, and connecting with even a small fraction of those people can bring huge returns to your business. Whether you use social media marketing for your business or not, it is important to get your business noticed on several sites. Twitter is one of them! More and more businesses are finding success with Twitter marketing. 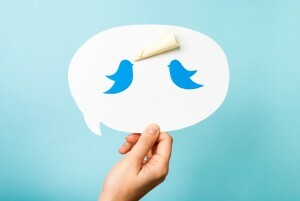 Here are some reasons to add Twitter to your social media marketing plan today! Millions of users go on Twitter every day. Every day there are millions of people on Twitter. Why not take advantage of that fact and try to connect with even a small fraction of those people? Twitter is free to use. It is free to use Twitter for your business. Who doesn’t love free marketing? Twitter allows you to connect with potential customers from all over the world. Twitter will allow you to build relationships with your customers. You will also be able to get feedback from customers whether they like your products or services or not. You will learn quite a bit just from listening to them. Twitter allows your business to become more personal. People like to learn more about you and your company. Twitter allows them to see you as more than just your business. You can show them some more personal things like your family and home life. You can advertise your sales on Twitter. If you advertise your sales on Twitter, you may sell quite a bit! People love sales and they love to share sales too! Twitter will allow you to learn from your competition. Many businesses use Twitter to search for their competition and find out what others are saying about them. If you haven’t tried Twitter yet, you really need to. There are millions of people on Twitter every day. You should try to take advantage of that and the fact that it is free advertising! It also allows you to start to build relationships with clients all over the world. You may want to monitor your competition on Twitter also. Contact us to help you add Twitter to your social media marketing plan.